Admittedly, I was spoiled as a child, who when or whatever I requested for or materialistically needed was practically bought for me from such giving parents. Yet, at the age of 15, I realized I had this tendency towards the old, vintage and used. Without embarrassment I dragged my Mother to thrift stores in search of satisfying my vintage needs. While she developed a migraine and couldn’t “stand the smell”, I on the other hand happily rummaged through the racks and shelves picking out trinkets or articles of clothing that called for me. For someone so young to have what seemed like endless resources from her parents my euphoric appreciation for the old, vintage and used seemed a rarity. 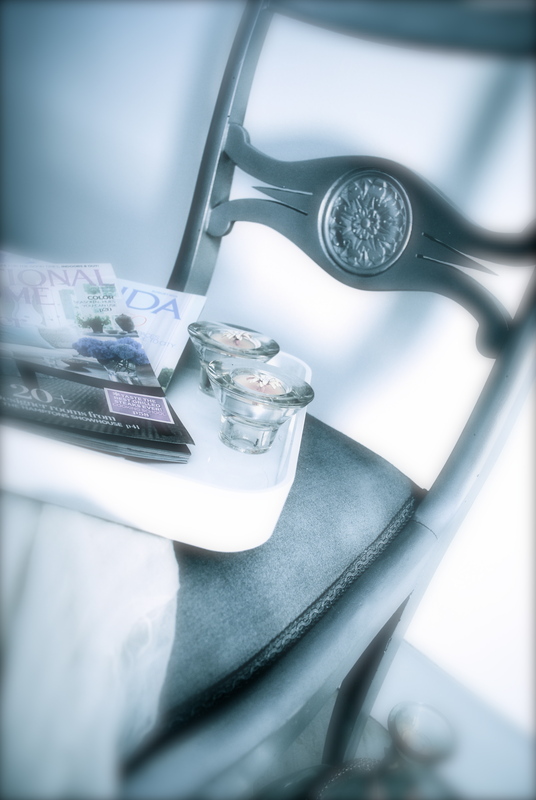 Realizing how the cushion was firmly tooled into the frame of the chair I found it easier just to spray paint the fabric and draped a cute Jessica Simpson scarf over the seating, Crate and Barrel tray, a few of my favorite magazines, a glam necklace and votives. Outstanding post, you have pointed out some wonderful points, I also believe this is a very superb website. I love Marylin Monroe! I need to see the recent movie about her. I was disappointed that the actress hey chose did not look like Marylin, but maybe her acting skills will make up for that! ^^ I love what you did to those chairs! My next project is to paint an old dest to make it look like indian furniture! 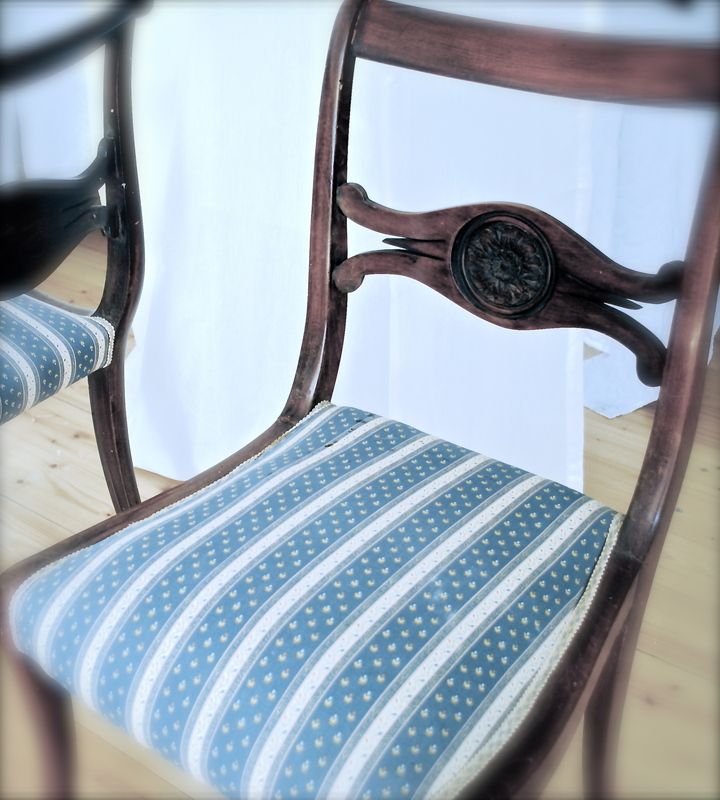 The chair looks so sophisticated – great makeover and I love the styling! Love how you styled it. Beautiful job.